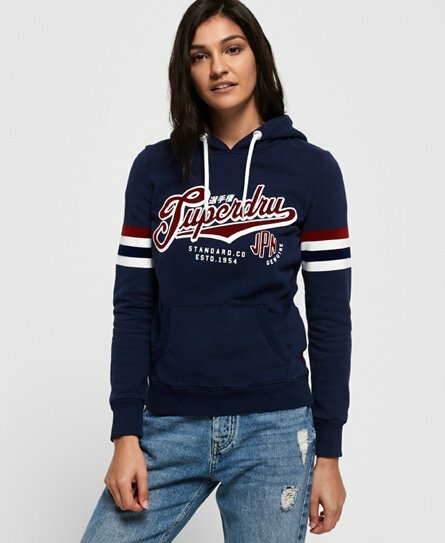 Superdry women’s Standard flock hoodie. Breathe life into your new season with this hoodie, a great all-rounder that is appropriate to wear to many occasion. This hoodie features draw cord hood, ribbed cuffs and hem, large front pocket as well as a Superdry logo on the chest with stripe detailing on the arms. Note the Superdry tab in the side seam and the signature orange stitch in the other for those perfect finishing touches.